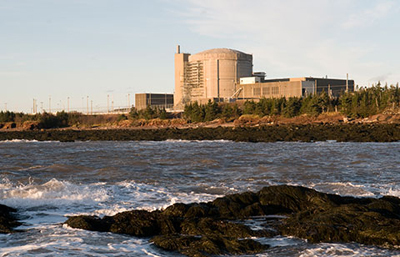 Point Lepreau Nuclear Generating Station (PLNGS) completed repairs Oct. 20 and is progressing toward full power output. The plant was taken offline on Oct. 13, after it became apparent that repairs were needed on the plant’s turbine auxiliary system, which is the non-nuclear portion of the plant. On Oct. 18, the plant was reconnected to the the electrical grid and is reportedly reaching operational capacity on a gradual basis. PLNGS has a generation capacity of 660 megawatts of nuclear-powered electricity and it serves New Brunswick, where it is capable of providing electricity for approximately 333,000 typical homes on an annual basis. New Brunswick aims to have 75 percent of its electricity generated through renewable and non-carbon emitting sources and PLNG plans to be a part of this vision.